What the NDP is claiming as a political donation by Jason Kenney to the Ontario Progressive Conservative Party was a registration fee for the party’s 2016 annual general meeting, the United Conservative Party said Monday. What the NDP is claiming as a political donation by Jason Kenney to the Ontario Progressive Conservative Party was a registration fee for the party's 2016 annual general meeting, the United Conservative Party said Monday. On Monday, the NDP caucus said Kenney donated $399 to the party, which is illegal for anyone who lives outside of Ontario. 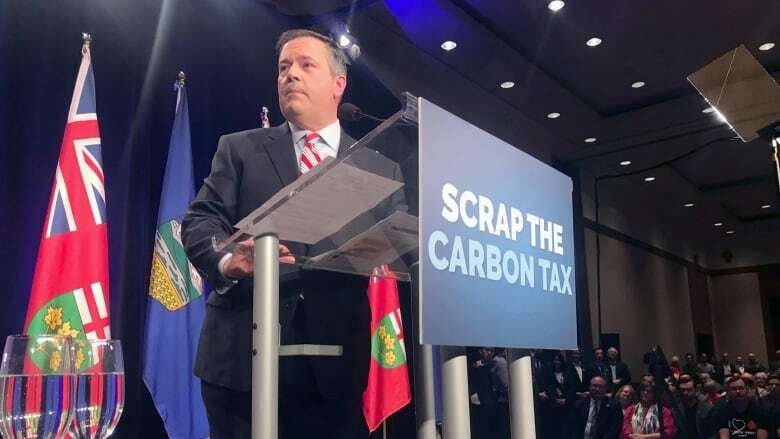 The NDP offered this as additional evidence Kenney was a full-time resident of Ottawa, not Alberta, while he was a federal cabinet minister and MP under former Prime Minister Stephen Harper. Kenney's staff said the amount, listed on the Elections Ontario site, was not a political donation. "The amount in question was a registration fee, not a donation," the party tweeted through its Unite Alberta account. "Mr. Kenney did not donate to the Ontario PC Party, as he was of course a resident of Alberta." The transaction was reported through the Whitby-Oshawa riding as there was a byelection taking place at the time, the party said. They added that Kenney was a non-voting delegate at the convention. The Alberta NDP is disputing Kenney's version of events, saying the archived convention website shows there were no non-voting delegates, only non-member observers who were charged $1,000 to attend. The fee for a delegate was $399. The allegation is the latest in a controversy that started Friday night when Ottawa lawyer and former Liberal candidate Kyle Morrow tweeted documents he said suggested Kenney was wrongly claiming secondary residence subsidies for his Ottawa home between 2012 and 2015. The amount was approximately $10,000 a year. Kenney listed his mother's detached bungalow in a Calgary retirement community as his home address with Elections Alberta. Morrow, who is originally from Ponoka, Alta., posted parliamentary flight records as evidence that Kenney didn't spend much time in the city. For example, Kenney travelled to Calgary four times between April. 1, 2014 and March 31, 2015. Kenney has denied doing anything wrong. The UCP says he pays taxes in Alberta and has an Alberta drivers licence and health card. There are no rules setting out how much time an MP must spend in their ridings nor are they required to own property in their home province as in the case of a senators. As cabinet minster, Kenney would have needed to spend more time in Ottawa than a backbench MP. His deputy chief of staff, Matt Wolf, said Kenney's mother moved into the retirement community after she was widowed. Wolf said Kenney rented the furnished basement to care for her and later purchased his current home, a condominium unit in Calgary. Morrow said he has referred the issue to the House of Commons Board of Internal Economy. In a series of tweets Sunday, he said he has been harassed on social media and sent a death threat. Morrow said he is no longer publicly commenting about the matter. Deputy Premier Sarah Hoffman says she wants an investigation into whether Kenney broke the rules. "I think he should come clean and know whether the allegations that have been raised are valid or not," she told reporters at the Alberta legislature. Hoffman says either the federal or provincial ethics commissioner should look into the matter. She says it comes down to a question of whether Albertans can trust Kenney. "When you're running for premier, the people of the province should be able to trust you and right now there are a lot of questions and I just don't trust him," she said.